District 751 lost a long-time union activist with the passing of Grand Lodge Rep/Organizer Jerry Dargitz on April 7. Dargitz spent decades improving the lives of workers and their families. His union leadership was instrumental in securing contract language changes that still have a huge impact on the membership today. 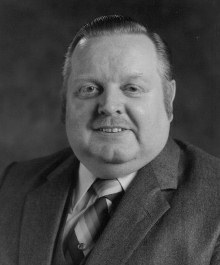 Dargitz hired into Boeing in 1956 and almost immediately became active in the union and was elected Recording Secretary for Local F in 1964. In 1966, Jerry was appointed to a full-time position as Staff Assistant. In the 1968 negotiations, he helped reduce the hourly job titles at Boeing from 1,600 down to 800. During those same negotiations, he was also instrumental in changing seniority to include previous employment from another Boeing Pudget Sound site. Previously, employees lost seniority if they transferred plants, causing them to become the first candidates for layoffs. During the late 1960s, Jerry made numerous trips to testify before Congress, advocating for the Supersonic Transport and funding for the Export-Import Bank, which finances Boeing airplane sales. In addition, he was instrumental in helping District 751 secure and run six low-income apartment buildings. The union still owns five of the properties and provides low-income housing to several hundred families. Dargitz served two terms as District 751 Secretary-Treasurer before moving on to Headquarters where he served for 15 years as Grand Lodge Rep/Organizer. Members can see Jerry recall highlights of his union career on the District 751 website at www.IAM751.org/laborhistory/oralhistory.htm.